Are you looking for the best houseplants for your bedroom? Adding houseplants to your bedroom is a great way to create a calm & relaxing oasis for sleeping in. Plants not only filter toxins from the air, some plants also release oxygen at night giving you a better nights rest. Your bedroom will be your own green sanctuary providing a tranquil place to rest and recharge at the end of your day. 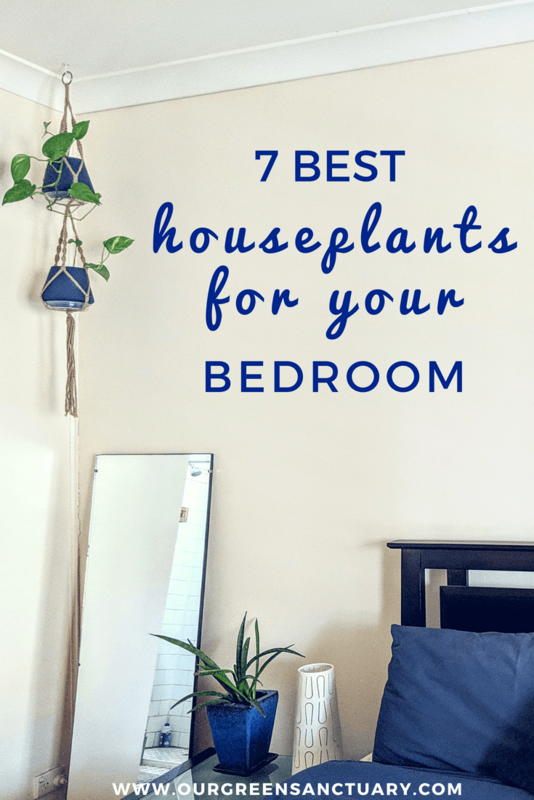 I’ll share with you which houseplants are the best for your bedroom and why. 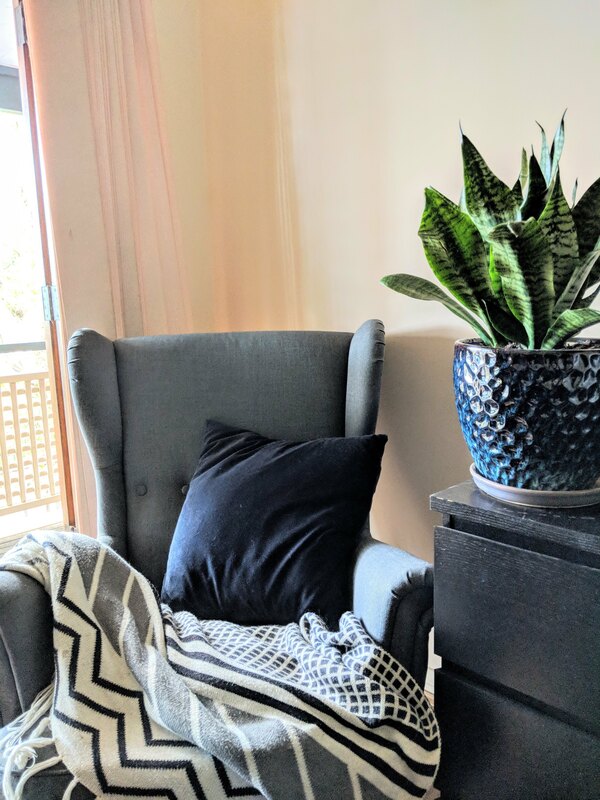 A perfect bedroom plant, Sansevieria is easy to care for and can handle medium and low light positions. All this plant needs is a well drained pot of soil & water every few weeks. This structural & strappy leafed plant releases oxygen at night and filters out some common household toxins such as formaldehyde, trichloroethylene and benzene. You can place your Sansevieria species on a side table or dresser making it a perfect match for the bedroom. 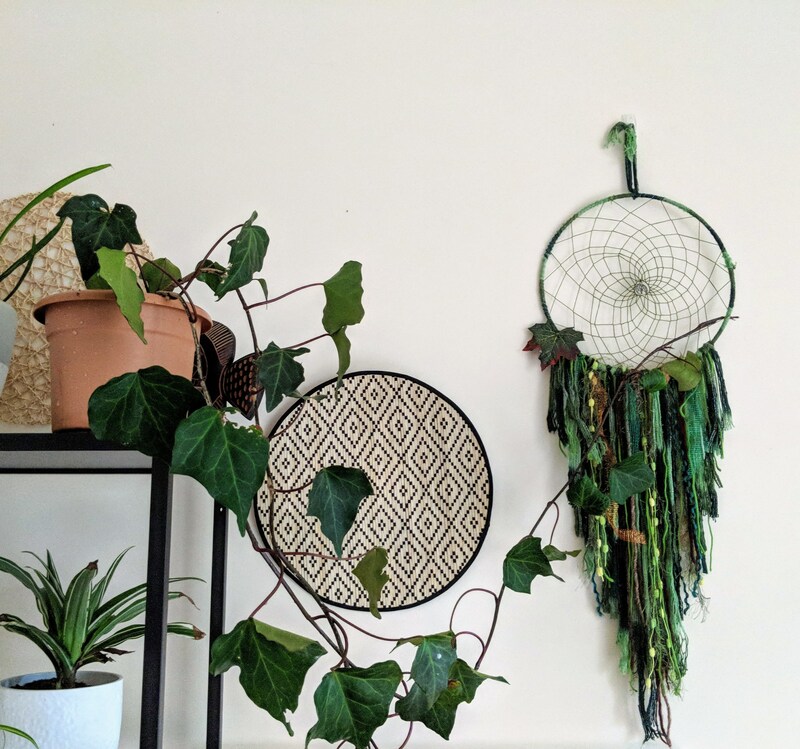 Another exceptional air purifying plant the Devils Ivy is listed on NASA’s top air purifying plants for filtering toxins such as formaldehyde, benzene and xylene. Devils Ivy prefers to stay on the dry side requiring water every week or so, less in winter. It will climb or trail, making it great for bedroom hanging planters like these Macrame Plant Hangers. Aloe Vera is another plant that emits oxygen, and it does it all the time. Also a succulent, the aloe vera plant stores water in its leaves and therefore has very low water requirements. 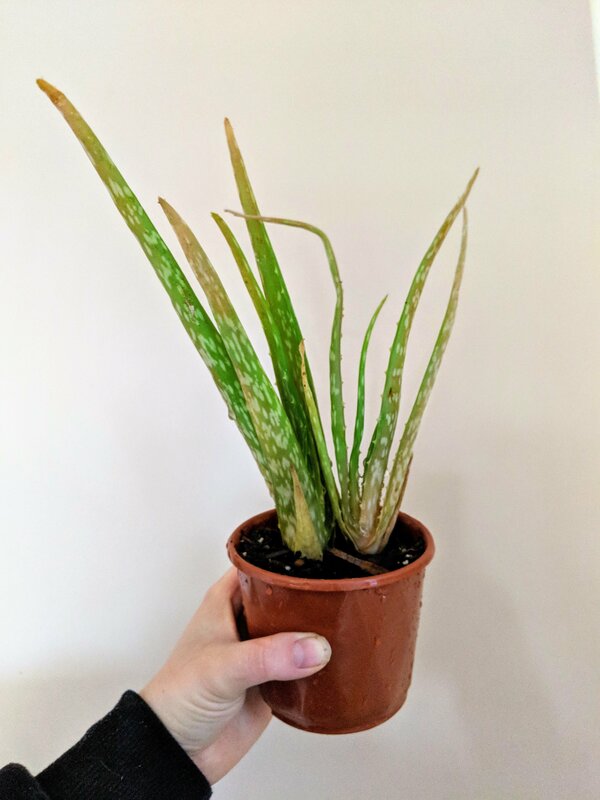 Aloe plants can be small, but also reproduces very quickly in the right conditions so soon you may have Aloe plants for all areas of your home. It grows best in direct sunlight so you’ll need a bright window sill for this one. This gorgeous trailing plant has small dark green leaves that look great trailing down from a shelf, or climbing over a bedhead. Requiring moderate light and regular water English ivy is another awesome air purifying plant. English ivy filters four major toxins from the air: formaldehyde, trichloroethylene, benzene and xylene. Do note this plant is also toxic if eaten by humans and pets. Peace lily is a common houseplant for a few great reasons, it’s beautiful, easy to care for and is one of the best air purifying plants around. 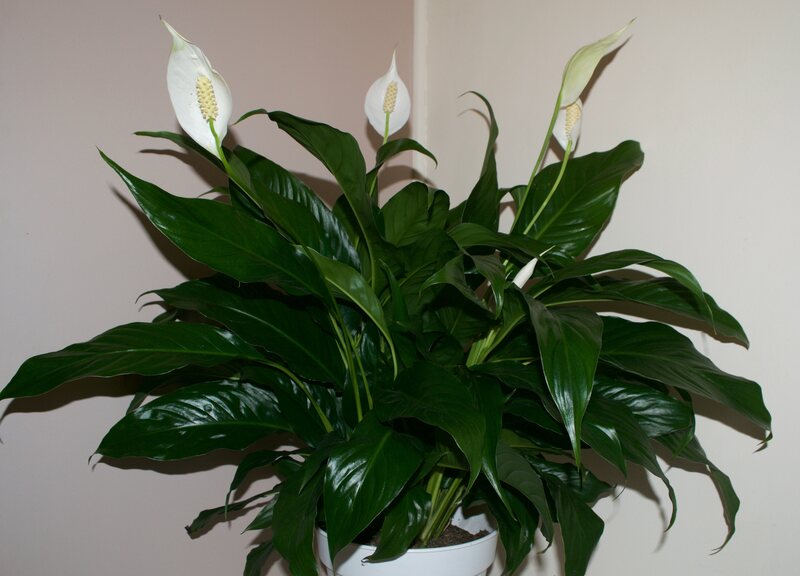 Adapting to moderate and low light conditions, the Peace lily does need a bright position in order to flower. Its long deep green leaves shiny and erect, will droop & appear dull when the plant is thirsty. 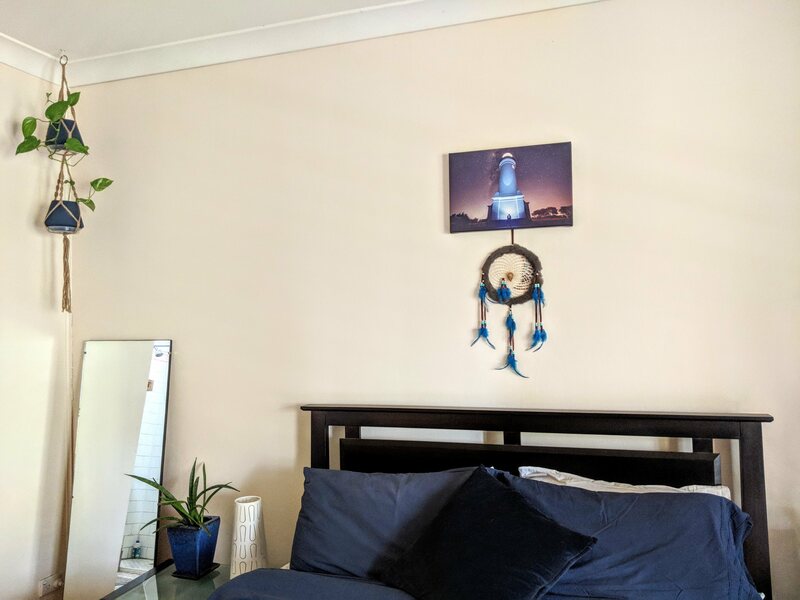 Eliminating all five major toxins from the air including ammonia the peace lily will create an ambient space in your bedroom for a calm sleep. The Peace lily should be kept out of reach of pets and small children. Dracena is one of my favourite houseplants. 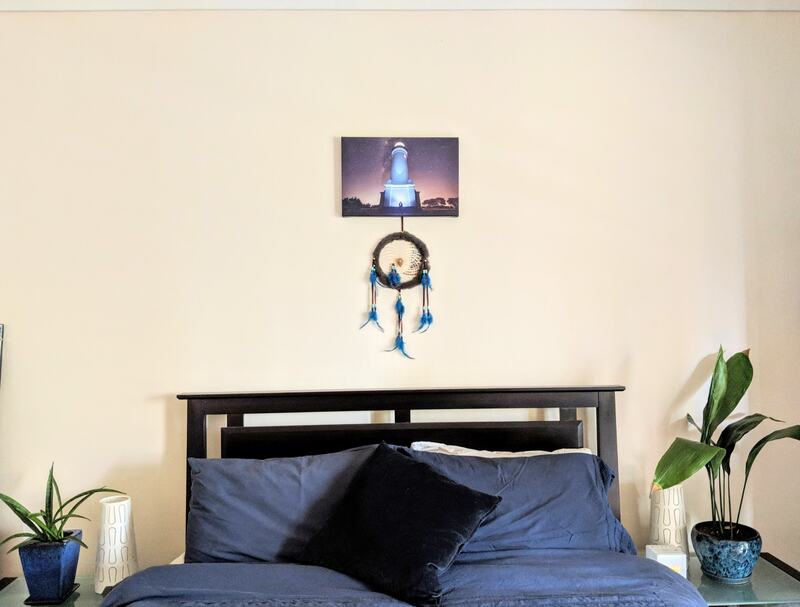 I love the height and colours of Dracena fragrans, and its air purifying ability made it the perfect choice for our bedroom. The Dracena’s large long leaves sit atop the tree trunk and are some of the most interesting in my collection. A great height for an indoor tree, the Dracena fills the space and warms the corner of the bedroom. The Dracena easily handles low light and has low water requirements. The ZZ plant or Zanzibar gem is one of the easiest care plants around. 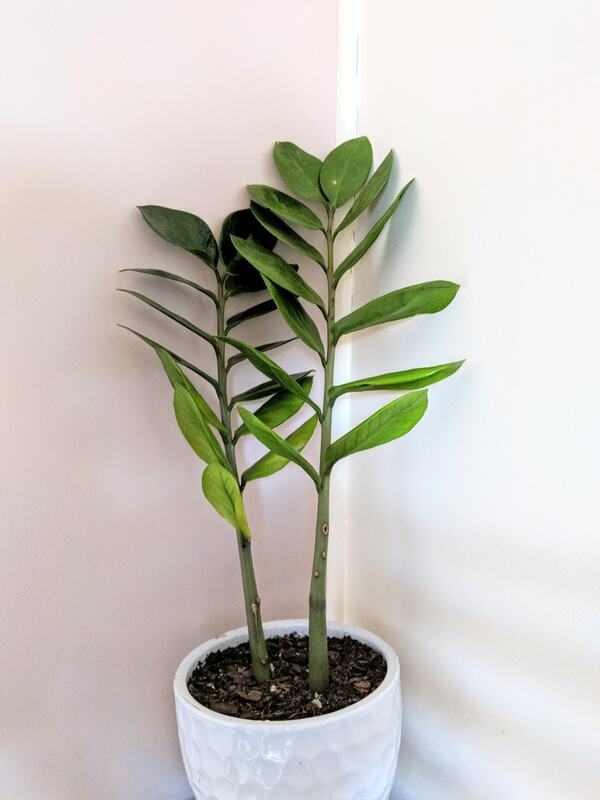 A perfect beginner plant or plant for the lazy houseplant lover, the ZZ plant stores water in its stem and will go without water for a whole month. Clusters of upright succulent green stems littered with pairs of leaves make this plant perfect for side tables and tall boys. Greenify your bedroom with the best bedroom plant for beginners. Now you know which houseplants are best for your bedroom you can choose the right one’s for your space! Keep in mind the toxicity of some houseplants if you have pets or children. Don’t forget to regularly dust your leaves to make sure your plant can do its job. Check out my houseplant care tips for more ideas. 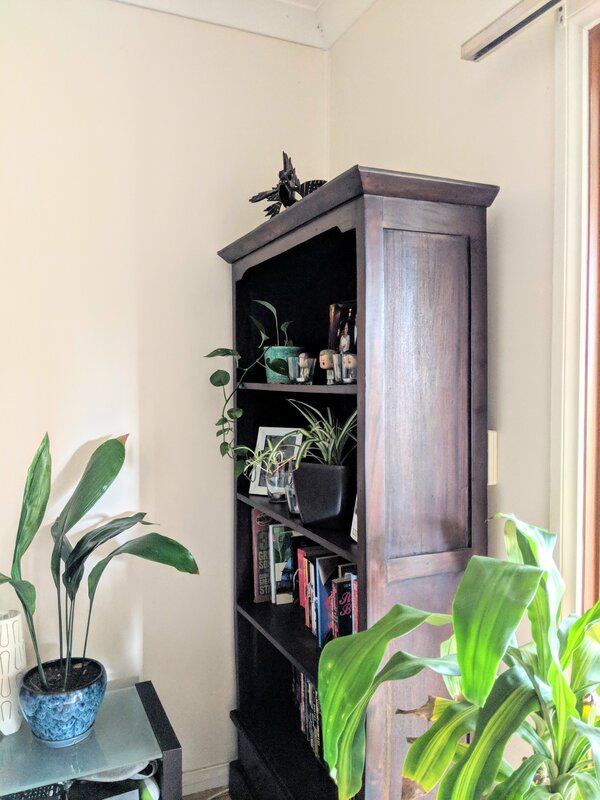 What houseplants live in your bedroom?